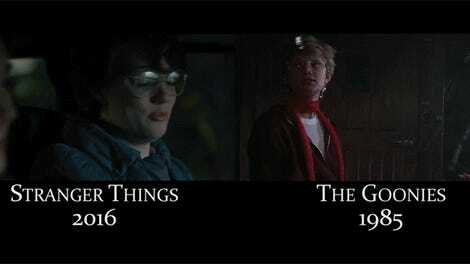 It’s not an accident when movies look like other movies. Even when it comes to movies that you wouldn’t immediately associate with each other like Pulp Fiction and Moonrise Kingdom or Full Metal Jacket and... Moonrise Kingdom, it’s obvious that the directors are respectfully paying homage to the works that came before. 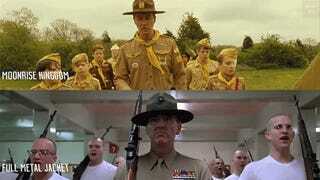 But still, it’s pretty funny to see shots and even scenes from different films that look exactly alike side-by-side. 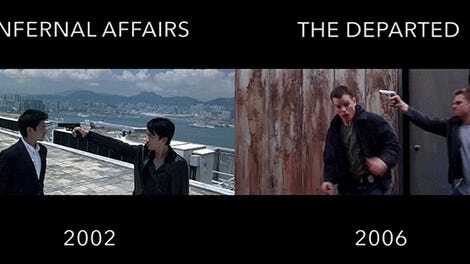 It’s especially neat when you see a movie like Requiem for a Dream share several drug shots with All That Jazz, a bathtub sequence almost identical to Perfect Blue, and a pier shot just like in Dark City. 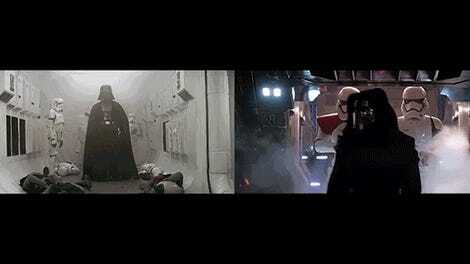 Candice Drouet edited together various movie shots that used a similar visual composition and put them side-by-side in the video below.